1. Your story and brand is everything. You lose if you confuse. You must know what you want and why you’re doing it. This provides the clarity you need to be able to know what to say yes to and what to say no to as well. Your clarity will help you determine the right people you need to hitch your wagon to along the way to help you bring your business to life and achieve your dream. Don’t try to be everything to everyone. You can’t. Don’t be confused in your messaging, your products, services or your purpose. A confused buyer doesn’t buy. When you know why you’re doing what you’re doing your story is easy to share with others. Not only is it easy, you find yourself telling your story to everyone because you can’t stop. It’s during this process of talking your dreams into existence that the right people with be attracted to you and direct you to the right opportunities. When opportunity knocks on your door, say “YES”. Many times you will be scared. You will think of all the reasons why you can’t do it like; I don’t have the money. I need to wait. I don’t know what I’m doing… You know all the road blocks you have in your mind. Instead of saying no, say, “YES” and figure it out as you go. Make a way out of no way. It is this faith in your passion, your business, your dream and yourself that will drive you to higher heights. 3. Embrace and lean into the obstacles. Innovation happens only with constraints. Realize it’s in the difficult times when you learn and grow the most. Lean in, don’t shy away, and become even more determined. It’s when the hard times hit, you not only find out what you’re made of, you find out what everyone else around you is made of as well. This is how innovation comes into play. If you don’t have problems to solve, you don’t learn to become a good problem solver. The bigger the problems you can solve, the bigger the paycheck you will earn. Learn to LOVE obstacles! Believe it or not, they are happening for you, not to you. Have you ever heard of the race car driver, Ricky Bobby? That was his mantra, “If you’re not first, you’re last.” It’s a classic line in the movie, Talladega Nights. What you always have to remember is if you don’t do it someone else will. Now that doesn’t mean you still can’t do it, it just means someone is going to beat you to the punch. Learn there is an energy and momentum that goes along with speed. You don’t have to be perfect, in fact, you never will, but you do have to act. Get into action and keep on keeping on! When you’re starting a business from scratch always remember, you need to love what you’re doing. Starting a business is no easy task. It will fill a major part of your life. You are going to have to sacrifice to make it happen. The only way to be successful in any endeavor is to have a deep passion for what you’re doing. It is your passion, your burning desire that gets you up early and keeps you up late. People quit on their jobs but they don’t quit on their dreams. This is one way you know you are on the right track. 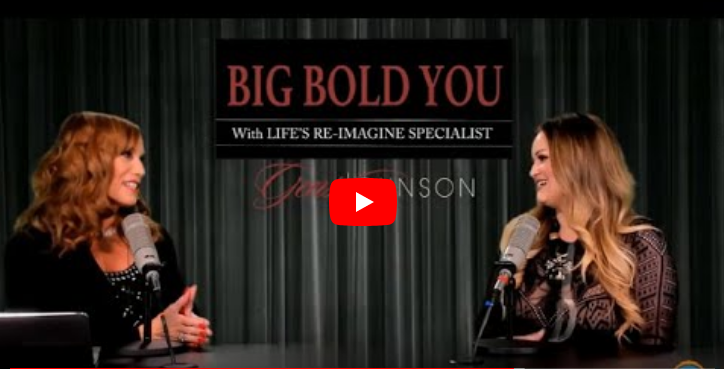 Listen to the Big Bold You show where Professional Business Coach, Gens Johnson and Biscuit Bar Restaurant Owner, Janie Burkett shares tips to start your business from zero. Sign Up for Monday Mindset and learn how to play bigger and bold with Gens Johnson. Get updates of the upcoming Big Bold You shows!